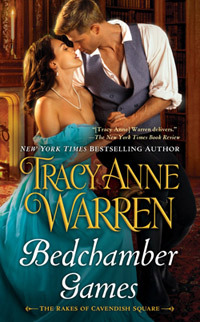 See the newest updates including: new/revised FAQs, new Japanese and Slovak covers in Books in Translation, the latest reviewer praise for The Bedding Proposal and Happily Bedded Bliss, (The Rakes of Cavendish Square, Books #1 and #2), see the beautiful new book cover and find out more about my upcoming Regency historical release, Bedchamber Games (The Rakes of Cavendish Square, Book #3) coming March 7, 2017 (Pre-order now!). You can also enter my newest contest for a chance to win a fun prize! Posted in Bon Mots | Comments Off on Website Updated! New Books, FAQs, Contest and More! Please check out all the new updates on the site! Go to Books to see the new covers and descriptions for my November 5, 2013 historical release, The Trouble with Princesses (Book 3 in the Princess Brides Trilogy) and my debut contemporary romance, The Last Man on Earth (Book 1 in the Graysons Series), coming January 7, 2014. Enter my new contest for a chance to win an autographed copy of Her Highness and the Highlander. See new covers for Books in Translation and read new FAQs!